Throughout the entire modern age, mankind has used fossil fuels to meet its energy requirements. Coal, oil and natural gas have lit homes and powered machinery for centuries, driving civilization forward. But as human development accelerated, the unsustainability of such energy became apparent. Global fuel supplies deteriorated and the atmosphere became more polluted. The search for renewable sources of energy began, to ensure a sustainable future. Today, our civilisation stands at a critical juncture. We are on the cusp of adopting clean energy at a scale never seen before. But for renewable power to continue its rapid advancement, the right decisions need to be taken. When clean energy first made headway in the global scenario, questions were raised about how stable and scalable it was. At a macro level, unstable policies for powering future growth were exacerbated by technological immaturity and lack of funding. Nevertheless, clean energy installations continued to grow, albeit slowly, until a dramatic leap a few years ago. Today, a fifth of the world’s electricity is produced by renewable energy. In 2016, there were 160GW of clean energy installations globally. This is 10% more than in 2015, but they cost almost a quarter less. 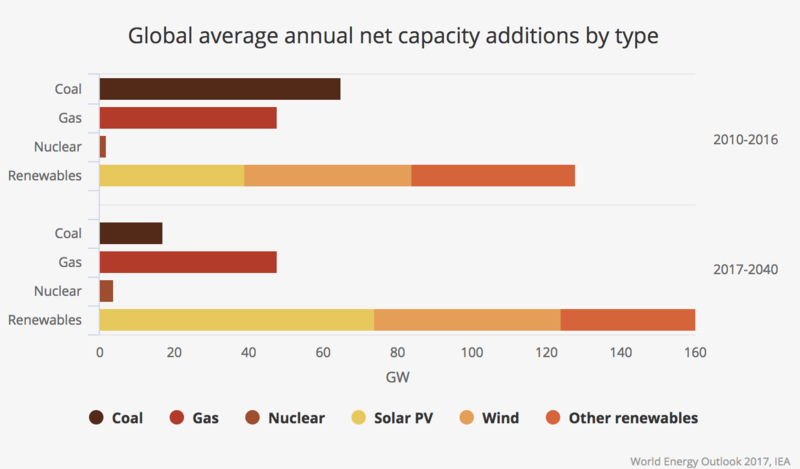 New solar power gave the biggest boost, providing half of all new capacity, followed by wind power, which provided a third, and hydropower, which gave 15%. It was the first year in history that added solar capacity outstripped any other electricity-producing technology. 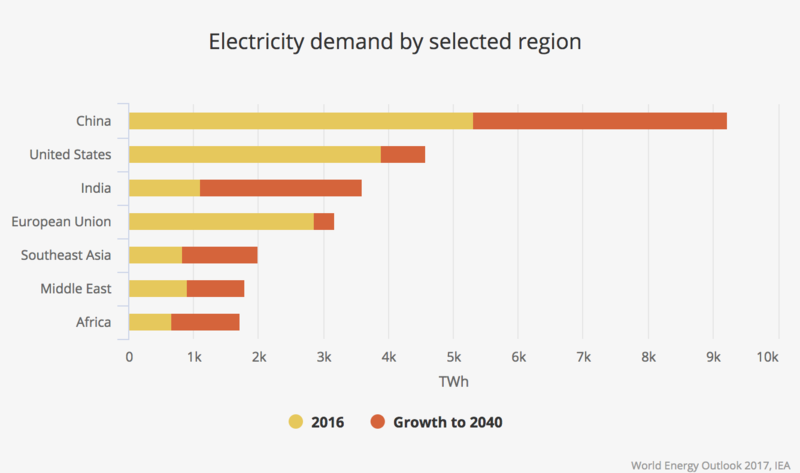 Several countries have set steep capacity installation targets over the next 10 to 15 years, following COP21. Emerging giants such as China and India, aware of the excessive levels of pollution in many of their key cities, are leading this charge. Despite the US withdrawal, the targets in the Paris Agreement are still expected to be key drivers for future sector growth. An unprecedented drop in the cost of producing clean energy has occurred in the last couple of years. It is becoming the cheapest source of power for more and more countries. Both solar and wind power have undergone an annual average percentage drop in cost of production in the mid to high teens. These heady declines in cost are likely to continue over the next decade. Given its increasing affordability, the applications and use cases of renewable energy have broadened. Alongside electricity production, it is providing new solutions for mobility and energy security worldwide. 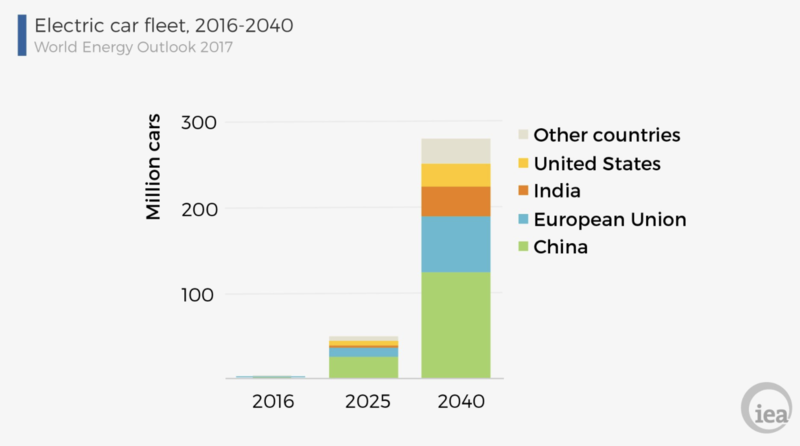 The electric vehicle market is growing rapidly, with China leading the way, and European and American markets following suit. Countries like India are already targeting complete electrification of its vehicular fleet by 2030. The affordability and widespread use of electric vehicles is being driven in part by falling battery costs. These enable further energy stability solutions, including wind-solar hybrid generation, grid management using utility scale batteries, and plausible alternative power storage options such as pumped hydro or a gas grid to create an adequate balancing mechanism. However, despite these positive projections and steep targets, we must ensure that the growing sector is managed well. Massive renewables installations will be built. From them, it is important to ensure the right balancing loads from thermal and hydro power sources. The infirm nature of the clean energy power supply will require smart grid management at scale. The capacity of more stable sources of energy will need to keep up. However, once viable storage solutions are developed, it should be possible to balance the renewable load. It is also important to address the need for changing of load demand. Both wind and solar power are infirm in nature, so the pricing of the electricity has to match its availability. The levelized cost of electricity (LCOE) for renewable sources of energy - that is, the unit-cost of electricity over the lifetime of a generating asset - is plummeting. But large-scale independent power producers’ enthusiasm for gaining more market share is causing competitive clean energy prices to fall at an unsustainable rate. Particularly in emerging countries, where cost of funding is high, it is important to ensure that sufficient access to funding is available for meaningful returns on capital employed. The advent of new funding mechanisms and instruments should ensure that domestic companies in emerging countries can compete with global players and fuel sector growth. New funding sources are also essential for shortening the cycle and broadening technology innovation. Besides enabling new manufacturing techniques to create products with higher electricity generation capabilities, funding can rapidly advance the rate of innovation in areas as diverse as biofuels, robotics and micro grids. Emerging countries are set to benefit immensely from these potential advances in funding and technology. 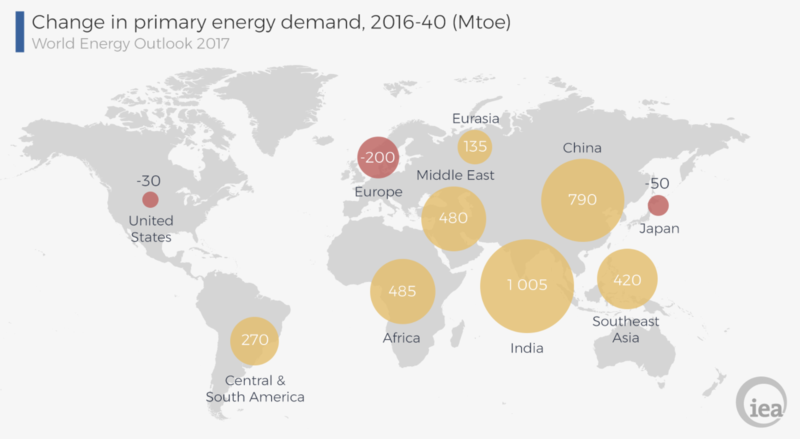 New communities in these countries could be fully powered by a stable clean energy supply through a combination of generation, storage options and smart grids. Electric mobility could serve as a distributed load and an emergency power source. Public-private partnerships should be encouraged, enabling the development of clean energy to complement progress in society. Finally, careful protectionism or liberalisation of the renewables sector - according to each country’s requirements - is necessary so as not to harm sector growth in the long run. There must be a balance between fair competition on the one hand, and incentives for companies to focus on development on the other hand, while gaining good returns on their investments. Governments must focus on technology and manufacturing commitments that support clean energy. Renewable energy is a global phenomenon on the upswing. For the foreseeable future, its growth is set to accelerate. But we have to ensure that progress is made in the right way. Our priorities and decisions now will determine how future societies benefit.